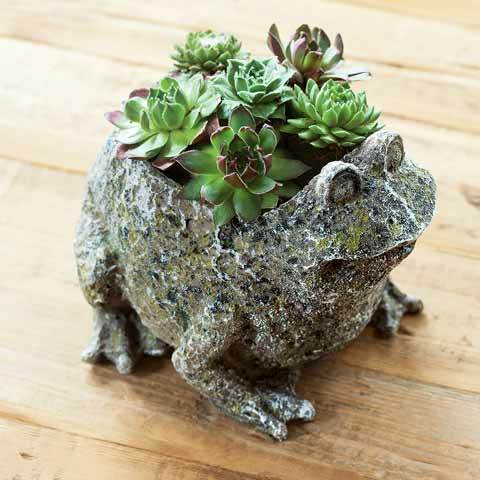 A happy little frog filled with exotic looking succulent plants adds charm and character to any home or patio. Hardy and easy to care for, this little guy comes fully planted and ready for display. 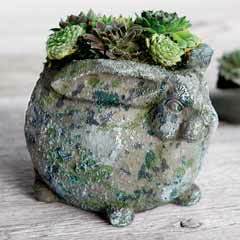 Succulent Frog measures approximately 6" x 6" x 5" and requires 2nd day shipping. Our Succulent Frog is planted with winter-hardy succulents that survive temperatures down to -10° F.
Light: Succulents thrive outdoors in full or partial daylight. Cloudy days do not negatively affect growth. Watering: When the soil is dry, water thoroughly. Allow soil to dry through before watering again. Watering frequency will vary based on light and temperature levels. Fertilizer: Fertilize through spring, summer, and fall with a low nitrogen water soluble fertilizer to maintain vibrant colors and healthy growth. 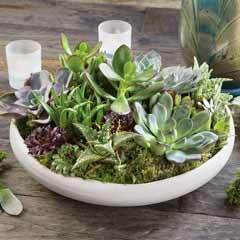 Maintain Your Planter: Succulents will grow and reproduce indefinitely. As they start to crowd the container, remove a few of the plants to encourage healthy growth and the longevity of the planter. Succulent Frog is rated 4.9 out of 5 by 64. Rated 5 out of 5 by Karbear from Sweet frog The plant came well packaged and plant very healthy. Container is so cute and special!! Rated 5 out of 5 by Auntie Lori from Cute Frog! 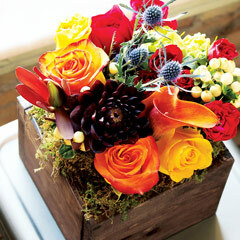 I sent one of these to my Aunt in Oregon, she just loves it! It is outside in her yard and it blends right in. Rated 5 out of 5 by number6girl from So Sweet! Sent as a birthday gift, was a big hit! I would definitely send again and maybe get one myself! Rated 5 out of 5 by Aspire2BACat from Brought the intended smile... Recipient was very happy with this planter and the cheerful frog. I am rarely disappointed by my O & C choices and certainly was not with this gift selection. Rated 5 out of 5 by Nankins1 from They loved this cutey!!!! This is my second purchase of the frog as a gift. Both receipients loved it. Rated 5 out of 5 by Karola from Adorable little frog I’ve given this twice as birthday gifts-a lovely surprise! Rated 5 out of 5 by BB from MT from Precious and Princely My friend loved the little frog and the healthy succulents...a perfect bday gift. Rated 5 out of 5 by vermonter from cutest frog every bought this as an office gift! it's truly adorable! came well packaged. I think I may have to order another one!